Network with friends while you enjoy breakfast in our “playground” area, where interactive exhibits including makerspaces, learning spaces, new gadgets, and more will be set up throughout the day. Playgrounds include: Jennifer Trombino of Northborough and Southborough Schools will be demonstrating Makerspaces and 3-D design; Michael Hale of Casco Bay High School (Portland, ME) will demonstrate Game Design and Virtual Reality, and Beth Lloyd of Watertown Schools will show how their school uses a Fab Lab to solve real life problems using tools like vinyl cutters, mini 3D printers, and 3D modeling software. Michael Horn is the co-founder of the Clayton Christensen Institute for Disruptive Innovation and the author of the award-winning book “Blended: Using Disruptive Innovation to Improve Schools.” In his keynote, “Personalized Learning: The Vision and the Practice,” Michael will dive into the vision as well as the tactical workflow of personalized learning in a K-12 setting. He’ll discuss why it’s important for schools to be clear about their definition of personalized learning to help guide administrators, staff, and parent communities in realizing a vision that makes sense for each school environment. He’ll share stories about lessons learned from various K-12 personalized learning initiatives that will help attendees learn the practical steps their schools can take to create and sustain a personalized learning plan. This session will explore the new Massachusetts Digital Literacy and Computer Science Standards curriculum, professional development, and more. PRESENTERS: Jim Stanton (Executive Director, MassCAN at EDC), Anne DeMallie (Computer Science and STEM Integration Specialist, Department of Elementary and Secondary Education), Paul Foster (Chief Information Officer at Springfield Public Schools), and Laura S. Chesson (Assistant Superintendent, Arlington Public Schools, MA). This group discussion for school leaders will explore how to #GoOpen using openly licensed educational materials to transform teaching and learning -- as well as ensuring those materials play nicely with your other systems. 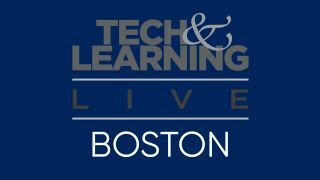 PRESENTERS: Leo Brehm (CIO, North/Southbourough, Southborough, MA), Andrew Marcinek (CIO, Worcester Academy, Brighton, MA), Mike Jamerson (Director of Technology, Bartholomew Consolidated School Corporation, IN); and Grace Magley, Director of Digital Learning (Natick Public Schools, MA). Moderator: Kevin Hogan. These discussions provide a great opportunity for you to network with fellow technology leaders. Topics will be repeated at the 1:10 "anything goes" breakout session. These discussions provide a great opportunity for you to network with fellow technology leaders. Topics will be repeated from the 11:15 "anything goes" breakout session. How do you effectively use social media to tell your district story? What are some do’s and don’ts of effective communication? This session for school district leaders examines how districts can better tell their stories to their communities and the media. PRESENTERS: Christina Maryland (Grants Research and Communications Specialist, Natick Public Schools, MA); Paul Sanfrancesco (Director of Technology, Owen J Roberts SD, Pottstown, PA); and Andrew Wallace (Director of Technology, South Portland Maine Schools). Moderator: Jean Tower (Director of Media and Digital Learning, Needham Public Schools, Needham, MA. T&L Live will close with a reception where you can unwind and network with colleagues and industry partners— as well as participate in the end-of-day prize drawing! Bonus giveaway challenge: Tag @LocknCharge in a #TLTechLive post and be entered to win a 6-pack of Baskets by LocknCharge. He is on the board of Fidelis Education, Education Elements,Noodle Partners, Everest Education, the Silicon Schools Fund, the National Association of Independent Schools, the Minerva Institute, and the LearnLaunch Institute. He serves as an advisor to Intellus Learning, Pedago, Knod, AltSchool, Degreed, Emotuit, SchoolCNXT, ReUp Education, the Adult Literacy XPRIZE, and the Hechinger Institute on Education and the Media at Teachers College, Columbia University, and he is an executive editor at Education Next. He is also a venture partner at NextGen Venture Partners. Mike Arsenault has been the Instructional Technology Integrator at Frank H. Harrison Middle School in Yarmouth, Maine for the past 10 years. Under his leadership, Frank H. Harrison Middle School has been an Apple Distinguished School since 2007. He has been a Google Certified Innovator since attending the Google Teacher Academy in Chicago, IL in 2013. He is passionate about professional development and pre-service teacher preparation, co-leading a collaborative project within Maine connecting Technology Integrators with pre-service teachers. Mike has supported administrators, teachers and students in 1:1 environments since 2001. He is on Maine’s ISTE affiliate’s (ACTEM) board representing Technology Integrators. Alice Barr is the Instructional Technology Integrator for Yarmouth High School, an Apple Distinguished School in Yarmouth, Maine. She facilitates 1:1 learning and technology in grades 9 – 12. A semi-finalist for the 2011 Maine Teacher of the Year, Alice is also a Google Certified Innovator. She also teaches at The University of Southern Maine and provides professional development sessions during the year. Bill Black is the Principal at West Broadway Middle School in Providence, Rhode Island. West Broadway opened as a new middle school in Providence in 2014 and blended learning became a huge driver for student success. As a Fuse Fellow, he is looking forward to learning and collaborating with passionate educators to find ways to do what is best for kids! New Director of STEM Education at Moses Brown School, in Providence RI. Veteran math and computer science teacher currently teaching the new AP Computer Science Principles course as well coding to 4 year olds. Intrigued by all programmable, electronic gadgets. English/Language Arts Teacher Leader and Sixth grade English teacher on the PEAK Academy at Governor Christopher DelSesto Middle School in the Providence Public School District. Her students utilize the Summit Learning Platform to gain the skills necessary to become college and career ready as they develop into Self-Directed Learners, illustrating mastery on cognitive skills through focus area content knowledge and project-based instruction. She is a graduate of Rhode Island College for both her undergraduate and graduate studies, and she is certified to teach in both elementary and middle school settings (English/Social Studies). She is also certified as a Secondary English teacher, grades 7-12, and a Reading Specialist, PK-12. Teaching and learning is of utmost importance to her because she wants all of her students to be successful, in all facets of their life. In order for this to happen, she believes that quality instruction and human connection must take place on a day-to-day basis. Thomas Chestna has been working at Moses Brown School for 17 years. For the past 14 years, he has been the Director of Technology. He currently teaches an Upper School course using the Arduino microprocessor electronic prototyping platform enabling students to create interactive electronic objects. Additionally, he is working to enhance STEM in early education with bi-weekly session using coding toys. Recently, Thomas served as a board member of the R.I. Society of Technology Educators (RISTE). Michelle Ciccone is Coordinator of Technology Integration at the Christa McAuliffe Charter School in Framingham, Mass. Michelle works with all educators at her school to seamlessly and authentically integrate technology across content and classrooms. As part of her work at McAuliffe, she also teaches a digital literacy/citizenship class to 6th, 7th, and 8th graders. Prior to joining McAuliffe, Michelle worked with two nonprofit organizations in the blended learning space. Michelle is passionate about engaging young people and educators in thinking about the way that technology impacts culture and society. She earned her M.S.Ed. from the University of Pennsylvania’s Graduate School of Education and B.A. from Vassar College. Sarah Connell teaches eighth grade English and serves as a Curriculum Coordinator of Auburn Middle School in Auburn, MA. Sarah studied English and Education at Fordham University and received her M.Ed. in Curriculum and Instruction from Boston College. This year, Sarah's students are using technology to activate a historic greenspace long forgotten by the town. Students have created original mobile applications to engage the community in their efforts. They have also attracted the attention of local politicians, a world renowned artist and a variety of environmental scholars. Rachel Discko is a former high school English teacher with a passion for technology. As a technology integration specialist, she promotes the use and integration of technology in the classroom to support quality teaching, student engagement, and learning. She also assists and supports faculty in developing a 1:1 learning environment in their classrooms. Her educational philosophy is that of George Couros: "Technology will never replace great teachers, but technology in the hands of great teachers is transformational." Principal, Delsesto Middle School, Providence Public School District, Rhode Island. Arzinia Gill is the Principal of DelSesto Middle School in Providence, RI. DelSesto Middle School serves close to 1000 students and embarked upon a school transformation effort to boost student engagement and create a positive school culture. Arzinia is a former English teacher and ELA instructional coach/specialist. She grew up in India and is a graduate of St. Stephen’s College, Isabella Thoburn College with MA in Literature from Punjab University in India. She has a M.Ed in Educational Leadership from University of Rhode Island. She taught in London, England for a year prior to her educational career in Rhode Island. Her Summit personalized learning implementation is one of the largest in the country. Currently middle school English teacher at Rye Middle School in Rye, New York, and an adjunct professor in the Literacy Department at Manhattanville College, Dr. Haiken has been teaching for the past twenty years. She is the author of the blog The Teaching Factor and has contributed as a guest blogger on Edutopia, Free Teach 4 Teachers, and The Nerdy Book Club. Dr. Haiken has presented at numerous conferences including the National Council of Teachers of English and Global Education Conference on topics relating to literacy, technology, and global collaboration. She is the editor of the forthcoming book Gamify Literacy (ISTE: May 2017) and facilitates the monthly #ISTELitChats on Twitter to address literacy and technology. Innovation Educator, CBHS Maine Game Club/USM Creative Intelligence Innovation lab (Ci2) Partner, Dir. of College, Career & Citizenship at Casco Bay High School in Portland, ME. Michael has been a teacher leader, administrator and innovation education leader for nearly 20 years in a variety of innovative educational communities including: Boys Town, GEAR UP, public schools, a language school in Ecuador, OMNI summer camp (formerly known as the Samantha Smith World Peace Camp) and Casco Bay High School for Expeditionary Learning. He has been a sought after speaker and workshop leader in a variety of local, regional and national workshops, conferences and symposiums. He is the Stupski Foundation faculty adviser for The Pathways to Success Digital ‘Portfolume’ Student Posse, a student-led technology initiative with the goal of creating and implementing “technological innovation for the public and private sector.” beginning with a digital portfolio that could be used beyond high school. Casco Bay High School, recently named by Education Week as "...one of 35 high schools across the country and abroad worth visiting," is a nationally recognized, U.S. News ranked, standards-based Expeditionary Learning network mentor high school. Michael is collaborating with the University of Southern Maine Creative Intelligence Innovation lab (Ci2) to connect high school students to college students & professors working in an environment of innovation and creativity. Mike Jamerson has been an active leader in information technology for more than 40 years. Prior to joining Bartholomew Consolidated School Corporation (BCSC) as the Director of Technology in 1998, he held a variety of leadership positions in manufacturing, financial, and consulting organizations. BCSC is a K-12 public school district serving over 11,500 students in 19 instructional sites in southeastern Indiana. Mike has served on Consortium for School Networking (CoSN) Board of Directors since March 2011. He has served as Treasurer and been a member of the Finance and Audit and Executive Committees. He served as the Chair from 2015-2017. He is one of the founding members of CoSN's Indiana chapter, the Indiana Chief Technology Officer Council where he has served as a Board member, Secretary, and currently serves as Treasurer. Mike lives in Columbus, Indiana with his wife, Sally, where he enjoys cooking, hiking, and growing chili peppers. Dr. Joseph is currently the Director of Digital Learning, Informational Technology, and Innovation for the Milford Public School District, Milford, Ma. Before coming to Milford, he was a building principal for 11 years in Natick, Ma and Attleboro, Ma. Other professional roles include: classroom teacher, PD specialist, and other district roles supporting technology instruction. Dr. Joseph holds licenses in general education, school administration, and Ma superintendent. His master's degree is in SPED and Ed.D. in Educational Leadership from Boston College. Hilary Lundgren is a 5th grade ESL, Math and ELA teacher at West Broadway Middle School in Providence, RI. She is a graduate of Wheelock College where she studied Counseling Psychology and has her MAT from Rhode Island College in Elementary Education and Teaching English as a Second Language. Miss Lundgren is focused on engaging students in learning and advocating for at risk youth. She implemented Blended Learning in her first year of teaching, under the guidance of the Highlander Institute, and has since won numerous awards which include; NBC10 Golden Apple Award, Horace Mann Crystal Apple Award, RIMTA Rookie Teacher of the Year 2016, RIMLE Promising Practitioner 2016, Digital Tech Champion of Rhode Island 2015 and 2016. Outside of the classroom, you will find Miss Lundgren cheering on her students in the stands of their sporting events, meeting with families in their communities, and at all WBMS events. Miss Lundgren is looking forward towards the future as she continues to build a strong classroom culture that is focused on personalizing learning for every student and doing what's best for kids! Deborah is the Career & Technical Education Department Chair at Granby High School, Norfolk, VA. She has been Teacher of the Year, collaborated on state technology initiatives, presented Train the Trainer professional developments throughout Virginia, has been published in geography, library and science journals, and serves on the Virginia Department Of Education's 2017 Computer Science Steering Committee. Christina Maryland, MBA, is a strategic marketing communications professional with over 10 years of experience in developing robust marketing, PR, and social media campaigns across many industries. In her profession, Christina's specialty is in implementing strategic and cost effective solutions that work to raise awareness, pique interest and champion the brand. She has a strong passion and skill in raising brand awareness and interest organically. Presently, Christina works for Natick Public Schools as a communications specialist where she has been charged with managing district communications, revamping the district brand identity, increasing outreach and engagement with target audiences, and internally guiding communication activities. K-5 Technology Coordinator, Waterford Public Schools, Waterford, CT.
Robyn is a K-5 Technology Coordinator at Waterford Public Schools in Connecticut. She has a Master’s in Education Technology and has worked at the Elementary, Middle School, High School, and District Level. Currently Robyn works with teachers and students to facilitate the purposeful integration of technology throughout the elementary curriculum. She is passionate about leveraging technology to provide opportunities for creativity, innovation, and critical thinking. She believes that technology can empower learners by transforming learning environments, perpetuating opportunities for problem-solving, and amplifying student voice. Maeve Murray is the Project Manager overseeing the Fuse RI Fellowship at Highlander Institute. Before starting at the Institute, Maeve was a founding high school math and special education teacher at Village Green Virtual Charter School in downtown Providence. She has also previously worked as an education policy fellow for the RI Governor’s Office, and taught English as a Second Language and American literature through the Fulbright Bulgaria program. She lives in Providence, RI. Paul Sanfrancesco is Director of Technology for the Owen J Roberts School District in the suburbs of Philadelphia, PA. He teaches as a professor in the Graduate Education Department at Saint Joseph's University, Philadelphia, PA and Neumann University, Aston, PA. Mr. Sanfrancesco has been a teacher and assistant principal in the high school setting. He was named as one of the "20 to Watch" educators by the National School Boards Association for his work in IT. He has served on Dell's K-12 Platinum Council for the past seven years. He is a technology consultant for William H. Sadlier, Inc., publishing company. Mr. Sanfrancesco has offered presentations to teachers, administrators, parents and students across the country in topics that cover digital footprint to setting technology visions for districts. Whitney Wadecki is a first grade teacher at Waterford Public Schools in Connecticut. She has a Master’s of Arts in Curriculum and Instruction from the University of Connecticut. Whitney has made it her mission to empower her classes by using technology in creative and innovative ways. She has created an after school coding program for grades K and 1 as well as running school-wide robot days. Whitney has presented about coding and innovative technologies at local, state, and national conferences. Andrew Wallace has been a technology director for South Portland Schools in Maine for the past 13 years. He is a member of the State Educational Technology Directors Association (SETDA), is Treasurer of ACTEM (Maine’s ISTE affiliate), and is President of the Maine Educational Technology Directors Association (METDA). He is a member of the design team of #EdChatME, a weekly Twitter chat, and was recently named to the faculty of the University of Maine’s Graduate College of Education. A former librarian, Wallace is interested in spreading the Learning Commons model and helping to imagine and create effective learning spaces. Please connect with him on the Twitter. Julie York is the Career Preparation Department Chair, Educational Access Channel Operator, and Webmaster for South Portland High School in South Portland, Maine. She is a Graphite Certified educator who is dedicated to the inclusion of computer science, STEAM, and media literacy in high school curriculum. She has created and maintained several computer and media electives in her school system and is now working on concurrent classes with a local college allowing students to earn college credit while still in high school.